Today in History–March 20–the Library of Congress features the Iditarod, won by Libby Riddles on this day in 1985, the first win for a woman. The next three Iditarod races were also won by a woman, Susan Butcher (she won for the fourth time in 1990). 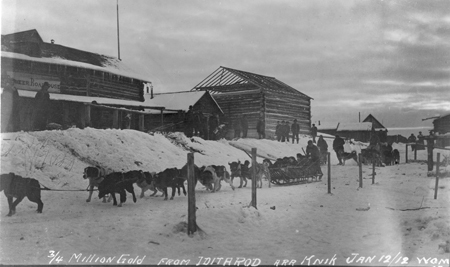 Learn more by visiting the Today in History section, then click the links below to access images related to the Iditarod trail, dog sledding in general and the state of Alaska. You might also be interested in learning about Michigan’s Upper Peninsula 200 Dog Sled Races.